“We can very accurately correlate nacre tablet thickness with temperature,” says Gilbert, explaining that mother-of-pearl is formed as mollusks lay down microscopic polygonal tablets of the mineral aragonite like brickwork to build layers of the shiny biomineral. “Everyone else measures temperatures in the ancient world using chemical proxies,” says Gilbert, referencing methods that, for example, use ratios of isotopic oxygen locked into tiny fossil shells made by marine microorganisms known as Foraminifera to get a snapshot of ocean temperatures in the distant past. “If the chemistry changes after the death of a fossil, the formation chemistry isn’t necessarily preserved,” says Gilbert. On the other hand, “if the physical structure is altered by diagenesis, you will notice immediately that nacre is no longer layered, and so you will know that it’s not worth analyzing that area. If just a few nacre tablets are preserved, their thickness can easily be measured” meaning the new technique can augment current geochemical methods used to assess past temperatures, and thus help reconstruct ancient climates, especially the shallow marine environments that preserve most of the world’s invertebrate fossil record. 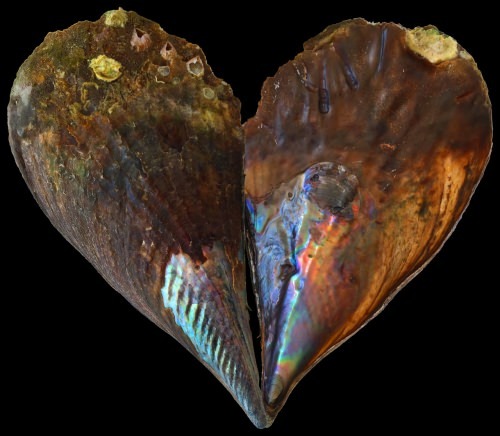 The family of mollusks in the new study has lived in the world’s oceans for more than 400 million years, potentially leaving a clear record of ocean temperatures into the distant past. For purposes of assessing climate, the record is valuable because not only does it say something about past climate, but the data can also help modelers forecast future climate and environmental change. “The only thing you can do to understand climate in the future is to look at climate in the past,” Gilbert notes.